In Ottoman Empire and Islamic Tradition, Norman Itzkowitz presents an account of the period traditionally considered to be the rise of the Ottoman Empire. His account is complex, explaining that the ghazis weren’t driven by a purely religious zeal for the conquering of new territories, though that was certainly a part of it, but also for economic and psychological reasons (11). He explains the process by which new areas were incorporated into the empire and ends his book with an explanation of the Ottoman world view at the height of their power, thinking little of Europe and only then as a backward place of no consequence, which Itzkowitz claims resulted in a feeling of complacency reinforced by the Islamic abhorrence for bid’a, or innovation (105-107). In the reading, I was struck by the fact that much of the land the Ottomans gained in Europe was done through a long process of vassalage and annexation. Even more so, I was surprised to see that many lords offered their allegiance to the Ottomans willingly, as in the case when Stephen Dushan died (14). Obviously there were still wars, but when compared with other empire builders, the Ottoman’s methods come across as more gradual, purposeful and efficient. If local lords were convinced they wanted to be a part of the empire, then there wasn’t as much chance of them quickly rebelling, though according to Itzkowitz’s account, there were plenty of times when land and cities were reconquered multiple times. I also found it to be very telling of the status of corruption in local Balkan governments, that the Orthodox church peasants often preferred Ottoman rule to Christian rule because the taxes were more fair. Reading modern ideas back into Ottoman times, I’ve heard people say that it wasn’t good to be a religious minority in the Ottoman empire, because no matter how good they were treated, they were still considered second class citizens, and treated as such, but if that’s the case, then how much worse were they treated by their governments prior to becoming Ottoman citizens? And was it really a bad move? I found it interesting that the fact that some families tried to safeguard their positions by converting their lands into waqfs, which the sultan Mohammed II then began confiscating anyway (29). It made me wonder if there were different tax codes relating to property that was in waqf status, and if this was an ancient form of tax evasion that the sultan became aware of and tried to stop. Also, the author characterized Suleiman the Magnificent’s anti-Hapsburg alliance with France in the early-mid 1500s as being in the “ghazi spirit” (34). Was this stated in some primary source document? Or is this the author applying the complicated idea of what ghaza is that he developed to describe behavior in the early Ottoman period to the ongoing conflict for political and territorial gain in the 1500s? Itzkowitz mentions that the period during which Kosem and Turhan were competing for power was known as “The Sultanate of the Women,” but I think Leslie Pierce would disagree and argue that this period began with Hurrem, almost a hundred hears earlier in the 1520s. Hurrem gained Suleiman’s undivided attention, causing him to break with tradition and give her multiple sons, marry her and move her into his palace. Pierce’s descriptions of how sexuality and reproduction were used for political purposes was extremely detailed and extremely informative regarding the evolution of the nature of succession practices in the Ottoman empire. I found it extremely interesting that sexual control was exerted not just over women, as is popularly depicted, but also over men, to render them politically insignificant. It’s easy to see an essentially captive male offspring as unthreatening, but I think it was a bad solution to the problem of creating stability, because the confinement seemed to weaken the Ottoman line physically and mentally and almost led to its collapse. It’s odd to think that the Ottoman empire was saved by the sexual ability of a mentally retarded man who was the last living Ottoman male. Note: This is a paper that was written for a Modern Middle East undergraduate history course. The paper was supposed to be five pages long, but I went a little overboard. Even so, I don’t think I even came close to fully covering the topic, not that I really could in a semester, or in one short research paper. Nonetheless, this paper received an A. At the end of World War I, with the fall of the Ottoman Empire, the entire Middle East was in a state of flux. What used to be a single sovereign entity was carved up into modern nation states by the victorious European powers. At a conference in San Remo in 1920 Britain and France, according to an arrangement known as the Sykes-Picot Agreement (1916), drew the borders for four new states: Iraq, Syria, Lebanon and Palestine. 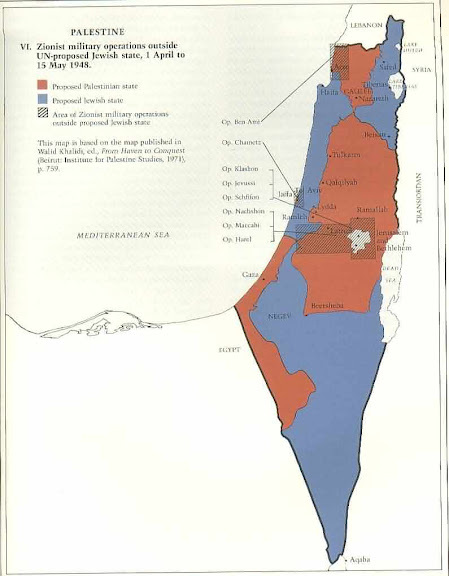 In 1922, Palestine was further divided into Palestine and Transjordan. These new countries were legitimized as mandates of the League of Nations, states that would be protectorates of European powers and eventually gain independence. Thus, Britain retained control of Iraq, Palestine and Transjordan and France retained control of Syria and Lebanon, directly and indirectly. His Majesty’s Government [of England] view with favour the establishment in Palestine of a national home for the Jewish people, and will use their best endeavours to facilitate the achievement of this object, it being clearly understood that nothing shall be done which may prejudice the civil and religious rights of existing non-Jewish communities in Palestine, or the rights and political status enjoyed by Jews in any other country. The Balfour Declaration is a letter that was issued by the United Kingdom’s Foreign Secretary, Arthur James Balfour, to Baron Rothschild, a leader of the British Jewish community. British government officials believed that the Jewish ‘vote’ needed to be won to ensure victory in World War I. If the British didn’t secure Jewish backing, the Germans would “buy them” and use them to influence Russia into signing a separate peace treaty with Germany, allowing the Germans to focus on the western front. The Balfour Declaration was a response both to the fear of the supposed power of world Jewry and the sympathetic nature of some British government officials to the Zionist cause. Zionist leaders did their best to encourage these feelings, resulting in the inclusion of the wording of the Balfour Declaration in the League of Nations sanctioned British mandate for Palestine in 1922. Contrary to the popular idea that Palestine was a land without a people for a people without a land, the area was well populated. At the beginning of the Zionist influx into the Palestine Mandate area, there were approximately 450,000 Arab and 20,000 (Arab) Jewish residents. Direct British rule and British efforts to fulfill the obligations of the Balfour declaration combined with the influx of European Jews created a volatile situation that retarded the national development of Palestine. Instead of developing modern governing institutions like other newly formed Middle Eastern nations, Palestine’s residents spent the mandate period in conflict and constant competition between British, Jewish and Arab interests. The major conflict between the two groups was based on the meaning of the Balfour Declaration. The Zionist interpretation of the Balfour Declaration was that it intended the creation of a Jewish state that, as Chaim Weizmann (Chair of the Zionist Commission and later first president of Israel) said, would be as Jewish as England is English. Critics of the Zionists interpreted the Balfour Declaration’s goal as the creation of a Jewish cultural center inside an independent Arab state. The ambiguity was introduced into the document to give the British room for diplomatic maneuvering, but in the end, all it did was complicate their position in Palestine. They were never able to resolve the contradiction inherent in their promise. The confusion in policy created by the Balfour Declaration led one senior British official to say, just prior to leaving the country, that Britain had “nothing but fluctuations of policy, hesitations…no policy at all.” The British alternately supported Jewish development of a national home and Arab national aspirations in a precarious balancing act intended to maintain the status quo. This remained true until their withdrawal from Palestine in 1948, twenty five years later. When the last British High Commissioner departed Haifa, there was no formal transfer of powers to a new local government because there was no government in Palestine. When the mandate ended, the Jews and Arabs were left to struggle for supremacy. The internal struggle for power in the years and months leading up to the end of the British mandate for Palestine and the subsequent war that started on May 15th, 1948 with the end of British mandatory rule between Jewish and Arab irregular forces from the surrounding nations saw the birth of the state of Israel and the failure of the Palestinians to establish a nation. The reason for the success of the Jews over the Arabs boils down to three key differences: unity, external support and military power. The Jews entered Palestine with a unified goal, if not a unified ideology. They enjoyed wide support from Jewish and Christian communities around the world, as well as the backing from Britain guaranteed by the Balfour Declaration. They also took advantage of their ties to Europe to advance their military prowess, which proved decisive in the 1947-1948 conflict with the Arabs, also known as the first Arab-Israeli War. The Palestinian Arabs, on the other hand, were completely unprepared for the task ahead of them. During the early years of the mandate, the Arab notables felt it was only natural that they should govern the land they had lived on for centuries. They were convinced that at some point the British would come to their senses and stop supporting the Jews. In the meantime, the Arab notables in Palestine did what they could to maintain their social status, including working with the British mandate authorities, who supplied them with positions of authority. For example, the British created the office of Grand Mufti of Jerusalem and assigned al-Hajj Amin al-Husayni to the role. Later the British created the Supreme Muslim council, which Husayni headed. The reliance of Arab leadership on the British caused them to mostly work with, rather than against, the mandate government, which also meant that they were indirectly supporting the Zionist occupation of what they considered to be Arab land. The Arab notables attempted to negotiate with the British privately while condemning British support of Zionism publicly, all the while working to ensure there would be no disruptive mass political demonstrations that could destabilize their social and political positions. The need to stay on good terms with the British undermined the authority of the Arab notables in the eyes of the public. Further complicating the Arab political atmosphere in Palestine was the constant rivalry between the two prominent families in the region: the Husaynis and the Nashashibis. Their attempts to create rival power bases in Palestine prevented Arab unity. The inter-Arab rivalries and reliance on the British, together with the need to suppress popular movements to maintain their positions, caused the Palestinians to never be capable of forming a unified front, which effectively neutered the Palestinian political body and Palestinian aspirations of nationhood. It would be fair to say that the goals of the Arab leadership (to maintain their positions) did not match the goals of the Palestinians, but due to the Ottoman top-down power structure, the average Palestinian had no way to directly influence the decision making process until later in the mandatory period, when guerilla leaders like al-Qassim began to rally popular support. Compounding the problem was the lack of any meaningful external support for the Palestinian Arabs. To start with, none of the Arab political institutions formed in mandate Palestine were recognized by any international authority, not even by the Arab states, who took it upon themselves to speak for the Palestinian Arabs. But, their motives weren’t entirely pure either. Throughout the mandate period, the surrounding Arab states had, despite repeated requests, failed to supply the Palestinian Arabs with arms, food, or any financial support. The Arab states each had different agendas in terms of what they wanted to accomplish in Palestine, but the rights of the Palestinians themselves probably ranked very low on their list of priorities. Most of the surrounding states were solely interested in land grabs to increase the power of their respective states in terms of inter-Arab regional politics. The Palestinians entered the fighting which followed the passage of the UN Partition Resolution with a deeply divided leadership, exceedingly limited finances, no centrally organized military forces or centralized administrative organs, and no reliable allies. According to a Haganah Intelligence Service – Arab Division executive, the average Palestinian had come to the conclusion that they could not hold their own against the Jews. HIS – AD further reported that most of the Arab public would be willing to accept the 1947 UN Partition Plan and lacked a desire to engage in a war with the Jews because of a lack of weapons and internal organization. Many were unwilling to fight because if they died, there would be no compensation for their widows and/or orphans. 3) John Stuart Mill argues that government must never censor its citizens, no matter what their opinion. Yet despite having a Bill of Rights, in the U.S. our civil liberties are subject to some limitations. Do you agree that our freedom of expression must sometimes be constricted? Why? To answer this question, you must 1) describe what the Founders wanted to achieve by adding a Bill of Rights to the Constitution, 2) detail the limitations that the Supreme Court has developed over time on either our freedom of speech OR religion, as well as their reasoning for these limitations, and 3) argue, in light of Mill’s theory, whether or not these limitation are legitimate. Information that’s quoted in the essay is either linked to within the essay, or can be easily looked up, in the case of amendments. The excerpt of John Stuart Mill’s “On Liberty” that was used to write this paper (as provided) is linked to at the bottom of the post. Section titles have been added to make it clearer for reading on the web. Why Were The Bill of Rights Added and How Does It Relate To Free Speech? The right to freedom of speech is not guaranteed in the Constitution. It was a right, added later, by the Bill of Rights, which is a list of the first ten amendments, approved by Congress and ratified by the States. The Bill of Rights itself was a compromise. As the Constitution was originally written, the majority of the Founders believed that a Bill of Rights wasn’t necessary, or that it would be redundant, since the rights of individuals were protected by the state constitutions and, as in the case of James Wilson, that “the federal government could exercise only those powers that were expressly delegated to it-and those powers did not extend to violating individual liberties” (James Madison and the Bill of Rights, Jack N. Rackove: http://www.apsanet.org/imgtest/JamesMadison.pdf). According to Jack N. Rackove, the director of the American Studies Program at Stanford University, James Madison in particular felt that a Bill of Rights was not only unnecessary, but dangerous. Madison feared that by enumerating the rights of citizens, it would imply that other rights were not protected, or by improper wording, it would create loopholes that would allow for the violations of the very rights the amendments were meant to protect. This is evident by his later proposal of what became the Ninth Amendment, which states: “The enumeration in the Constitution, of certain rights, shall not be construed to deny or disparage others retained by the people.” This implies that common sense should be used when determining whether or not someone has an inherent right to do, say, or be protected from something not expressly mentioned in the Constitution or Bill of Rights, which could include protection from misuses of free speech. It wasn’t until after the Constitutional Convention, when the states were in the process of ratification, that the necessity of a Bill of Rights became apparent. One of the main arguments of the Anti-Federalists was that if the Federalists were really interested in protecting the rights of the citizens from a powerful national government, those rights would be enumerated and clearly defined (A More Perfect Union: The Creation of the US Constitution (Introduction), Roger A. Bruns: http://www.archives.gov/exhibits/charters/constitution_history.html). When it became obvious that ratification of the Constitution was in jeopardy, James Madison eventually gave in to popular opinion and peer pressure and admitted the need for a Bill of Rights. Notably, Thomas Jefferson wrote Madison a letter in December of 1787, in which he said that a Bill of Rights is “what the people are entitled to against every government on earth”. Madison began promising that after ratification (if elected to Congress) he would see to it that amendments were added to the Constitution that would be “the most satisfactory provisions for all essential rights,”(George Mason’s “Objections” and the Bill of Rights”, Robert A. Rutland: http://www.apsanet.org/imgtest/GeorgeMason.pdf) though he maintained that it was a “nauseous project” (Rakove). As the Virginia Representative to the First Federal Congress, he drafted and proposed the amendments that became the Bill of Rights as we know them today. From Madison’s strong objections to having a Bill of Rights in the first place, we can infer that when he was finally forced to write them, he took great care in what he selected as essential rights that every person should possess, and most people in the US today would likely agree that the right to free speech is one of, if not the, most important, because the ability to speak freely about all things, including politics, keeps the public informed regarding what our government is doing, both good and bad. We couldn’t form a more perfect government without knowing knowing the imperfections of the then present government, and we can’t elect proper representatives today without having free access to information and the freedom to exchange ideas about their merits and deficiencies. Given the then recent history of the country, it seems obvious that the desire for federally protected free speech was geared more towards freedom of political speech and expression, the peaceful exchanging of ideas without fear of retribution. The founders of the country were generally well educated, and it would go beyond reason to assume that they’d want the First Amendment right to freedom of speech to imply that speech of a hurtful or obviously dangerous nature could be construed as Constitutionally protected under the Bill of Rights, and that line of thinking has been upheld by the Supreme Court in future generations. Supreme Court decisions have upheld the idea that free speech is important and protected, but that it sometimes must be restricted. Schenk v. United States, 249 U.S. 47 (1919), is an important example of restricting free speech for the greater good of the country. During World War 1, Charles Schenk distributed Socialist Party of America propaganda to potential military draftees, urging them to oppose the draft, since he felt it constituted a violation of the Thirteenth Amendment against involuntary servitude. The court ruled against him, since his efforts created a situation that could undermine the safety of the country in a time of war. In the unanimous opinion, Justice Oliver Wendell Holmes, Jr. wrote that “when a nation is at war many things that might be said in time of peace are such a hindrance to its effort that their utterance will not be endured so long as men fight, and that no Court could regard them as protected by any constitutional right.” He went on to say that (emphasis added) “The most stringent protection of free speech would not protect a man in falsely shouting fire in a theatre and causing a panic. […] The question in every case is whether the words used are used in such circumstances and are of such a nature as to create a clear and present danger that they will bring about the substantive evils that Congress has a right to prevent.” This set a precedent for judging when free speech is acceptable by whether or not it creates a clear and present danger to the public well-being. In other words, it is partially the government’s responsibility to prevent the misuse of free speech, when it is clearly harmful or creates a dangerous situation. Furthering that line of thinking is the outcome of Chaplinsky v. State of New Hampshire, 315 U.S. 568 (1942), which introduced the ‘fighting words’ doctrine, which limited free speech for the sake of social stability and preventing breaches of the peace. In November of 1941, Walter Chaplinsky was arrested and charged under a New Hampshire law that makes it illegal to use intentionally offensive speech, directed at others, in a public place (chap. 378, para. 2 of the NH. Public Laws). In the unanimous decision, Justice Frank Murphy indicated that there are some types of speech that fall outside of the first amendment’s federally protected right to free speech. He wrote that “There are certain well-defined and narrowly limited classes of speech […]. These include the lewd and obscene, the profane, the libelous, and the insulting or “fighting” words those which by their very utterance inflict injury or tend to incite an immediate breach of the peace. It has been well observed that such utterances are no essential part of any exposition of ideas, and are of such slight social value as a step to truth that any benefit that may be derived from them is clearly outweighed by the social interest in order and morality.” This decision both promoted the limiting of free speech for the purpose of preserving social stability and preventing subsequent illegal activity, as well as supports the idea that free speech, as protected by the first amendment, is solely for the purpose of the exchange of ideas that contribute some value to society. The Supreme Court case Yates v. United States, 354 U.S. 298 (1957) also helped define when free speech should be limited. In this case 14 people, members of the Communist Party USA in California, were charged with violating the Smith Act, but they argued that simply advocating a change in government wasn’t the same as actively attempting to overthrow the government. The Supreme Court ruled that the Smith Act did not prohibit “advocacy of forcible overthrow of the government as an abstract doctrine.” In other words, it wasn’t a violation of the first amendment to advocate doctrines, but it would be a violation to use free speech to advocate immediate calls to violent action. These three Supreme Court cases show a continuing theme of limiting freedom of speech when it is necessary for the prevention of harm to the general public, or in some cases, to the government, or both, and support the idea that free speech, as protected by the first amendment, has a certain limited scope and is open to restriction. In his book, “On Liberty”, John Stuart Mill said that, in regards to the limiting of free speech, “The best government has no more title to it than the worst” (Mill, 22). He goes on to say that “We can never be sure that the opinion we are endeavoring to stifle is a false opinion and if we were sure, stifling it would be an evil still” (Mill, 23). Mill goes into great detail about how preventing free speech creates an assumption of infallibility, presuming that our idea is the only right one and is therefore the only one that should be heard. He argues that, throughout history, ideas have been proposed, and that only through the test of discourse have any ideas been proven more correct than others, or that they are erroneous. Mill says that wisdom can only be gained by defending a position against all comers, and that only after that defense of position can a man truly believe that his opinion is the correct one, even though he may at a later time be proven wrong by successive generations. Throughout his work, however, we see that Mill is simply arguing for the free exchange of ideas. At no point does he say (in the excerpt provided) that using free speech to create panic, injury, or danger is acceptable. Based on his arguments in “On Liberty”, one could guess that he would consider such a use of free speech to be wholly criminal, and a perversion of what he argued so passionately for. The creation of a Bill of Rights to accompany the US Constitution defined explicitly our right to free speech, guaranteed by the First Amendment. However, nowhere in the First Amendment or elsewhere in the Constitution or the amendments does it say that we have the right to use free speech to endanger other people, the country, or to cause hurtful verbal injury to another person. It can be inferred by examining the Constitution and Bill of Rights, considering the situation the Bill of Rights was written in, and other writings of the times what was actually meant by the term free speech and over the years successive Supreme Court cases have reinforced that idea. It is safe to say that free speech has its limits, and those limits are well justified in being instituted. Unless you’ve been living under a rock, you’ve heard the news about the massacre in the Philippines, in Maguindanao. 59 people (as of 1:18 AM November 27th SGT) were killed for political reasons. The short of it is that a local “clan”, the Ampatuans, has been running the area warlord style for years. A local mayor, Ismael Mangudadatu, wanted to file his intention to run for office and was sent death threats. Let me just stop for a minute here and repeat that. DEATH THREATS. As in, killed to death until you’re no longer breathing or moving, and until you never will again. A death threat is the sort of thing that should make you stop and think about your situation and maybe, just maybe, reevaluate what you plan to do. Instead of using common sense and accepting the fact that it was a lost cause, this political hopeful decided to send women and other family members, unarmed, in his place to file his intention to run for office. Now let’s stop to think about this again. He received death threats. Any person with any sense would realize that if you are threatened with death if you file to run for office, then anyone you send in your stead faces that same fate. I’m not justifying what happened at all, because it’s disgusting, and a tragedy. What I’m saying is that this tragedy could have been prevented and is due completely to the stupidity of Ismael Mangudadatu. I think he’s partially responsible for the deaths of all of these people and should also be tried and convicted. In regards to the actual issue of the killing for political reasons, I’m not understanding why there needs to be much of an investigation. It’s obvious what it was done for and who was behind it. A bunch of militia and police didn’t just get together on the road and kill 59 people by accident. They didn’t then use the governor’s backhoe to try to hide the evidence without anyone knowing. No one ever claimed the government in the Philippines was a just and right one, well at least not in our lifetime, but I never thought it was this bad. These people who committed this tragedy are supposed political allies of the current President, not that that’s saying anything at all. She’s corrupt too. She’s announcing the 26th of November as a national day of mourning for the victims, but what’s that going to do? Is that going to bring back all of those dead people? Is that going to implement real and meaningful government for the people of Maguindanao? I don’t think so. What’s needed is speedy justice in a clear cut case. Remove all Ampatuans from political positions, imprison the ones involved, disperse the clan, and ban them from running for political office for 5 generations.